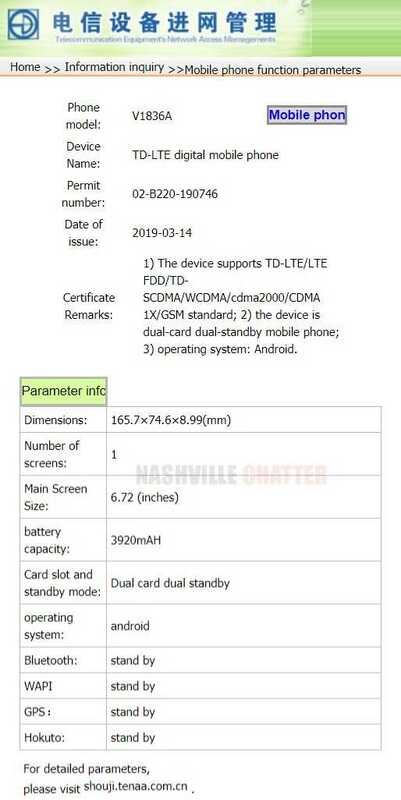 A new Vivo phone with model number Vivo V1836A / V1836T has been spotted on the database of China’s telecom regulatory body named TENAA. The phone has appeared in the database of Shouji with full specs. The device weighs 199.9 grams and the screen resolution is 1080 x 2340 pixels. The clock speed of the octa core processor used in this phone is 2.2 GHz and the OS is Android 9 Pie. Apart from these details, everything else has been confirmed through yesterday’s TENAA listing. The Vivo V1836A/T smartphone measures 165.7 x 74.6 x 8.99 mm and its fitted with a behemoth display of 6.72 inches. This suggests that it could be the Vivo X27 Pro that is rumored to go official alongside the Vivo X27 and Vivo S1 tomorrow in China. In comparison, the Galaxy S10 5G that houses a 6.7-inch S-AMOLED display measures 162 x 77.1 x 7.9 mm. The new Vivo phone has 3,920 mAh battery onboard. Now that the rumors have revealed in the recent past that the Vivo X27 Pro is arriving with 6.7-inch display, it is likely that the V1836A/T could be the very same phone. It is speculated to be fueled by the Snapdragon 710 SoC and 8 GB of RAM. It is likely to come with a big internal storage of 256 GB. Since the X27 Pro will be equipped with a notch-less display like the Vivo V15 Pro and Vivo NEX smartphones, it will come with a pop-up selfie camera module with 32-megapixel lens. 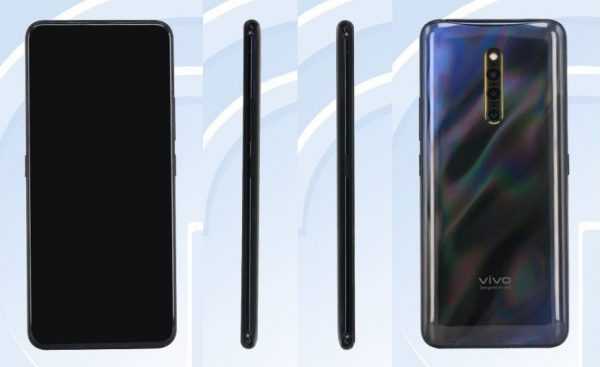 The triple camera setup on the rear shell of the phone could feature a Sony IMX586 48-megapixel lens, a 13-megapixel secondary sensor and a 5-megapixel depth sensor. The handset is expected to come with a 4,000 mAh battery that will offer 22.5 W fast charging. The battery is mentioned in its minimum capacity of 3920 mAh in the TENAA listing. The Vivo X27 Pro may come in Fritillaria White and Black Pearl color editions. The smartphone may be announced tomorrow but may hit the market on April 12. Vivo X27 Pro could be priced at 3,998 Yuan ($595).